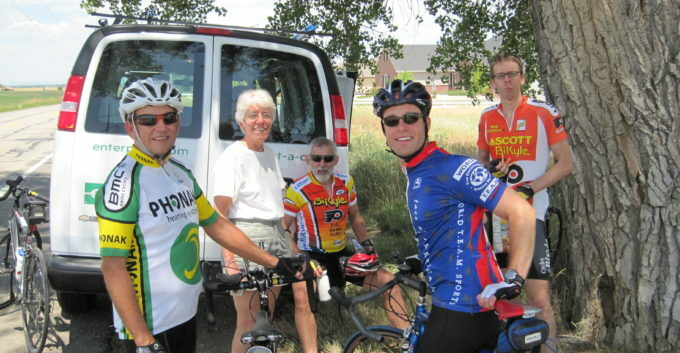 During the summer of 2006, I rode my bicycle from Seattle to Boston with Dan, Eamon, Chris, and 11 other riders in order to raise money for humanitarian aid. When the trip was over, one of my friends asked me, “What was your favorite part of the ride?” I explained that I was fascinated by the progression of reactions that we got from locals as we crossed the country. When we told people in Washington that we were biking across America, we typically received smirks and skeptical well-wishes. In Iowa, people offered impressed and respectful recognition that we had already completed more than half the route. By the time we reached New England, locals responded with either silent awe or half-joking accusations that we were liars. Periodically throughout the trip, a reporter or local would ask me, “What does biking across the country have to do with ending global poverty and providing significant aid to the less fortunate people of the world?” While I understand where they were coming from, to me the parallel is clear. We wanted to show people that something deemed impossible by many is not necessarily so. The skepticism that greeted us in the northwest is the same doubt that someone receives when they attempt to tackle a complex and long-standing dilemma. However, declaring something as “impossible” is oftentimes just an excuse, a cop out from having to put forth an honest attempt. By biking from Seattle to Boston, we illustrated what I consider to be the moral our journey: through hard work, perseverance, and the courage to push on despite doubts, we can turn a skeptic’s impossibility into reality. If you are like me, you probably have 1,000 practical reasons why you should not ride your bicycle across America, but you just cannot shake the nagging desire to participate. Once the trip was over, I was so glad that I did not give into the doubts that nearly kept me from riding. The personal development and contribution to humanity as a whole vastly outweigh short-term logistical concerns. Having spent over 4,000 miles on bicycles with Eamon, Chris and Dan, I can attest to their leadership abilities and I know that the DREAM Ride will be a success. Even though I only spent two months with them, at the end of the trip I trusted them more than some people I had known for years. They earned it. If you are considering riding your bicycle across the country, there is no better way to do it than to participate in the DREAM Ride. This is the chance of a lifetime. Take it.